I'm off fighting for Atlantis. Hello Michel. I will get you masked asap. EDIT: You are now masked. 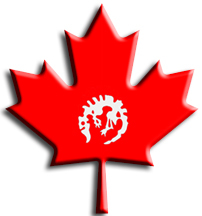 Follow this link: http://canadianparadoxparty.forumotion.net/the-great-north-f13/ to get to your LPO. I don't quite get what's with the "masks" yet but I'm willing to give a hand if required. Lips, Vesa: You are now masked. Date Joined CPP- Don't remember! Date: Haven't join yet as I'm level 4. Willing to join as soon as I reach level 7. Mask: Anything that works? Party friend / Member? Ok I will just set you up for a mask guillermo. Date Joined CPP- Not a member. Party President of DAL here. koolmanjack: currently have no mask for you yet. Working on that one.